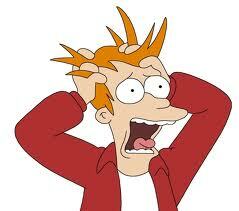 The sporting world has always been a mysterious and somewhat terrifying world for me. I would love to say it’s because I was always a bookworm or a video game geek or a theatre geek…but then I don’t really live in a 1990’s sitcom. In reality I have many video game geek, theatre geek and bookworm friends who love to go to a huge stadium to scream in excitement and rage at whatever local team happens to be popular at the time. So I looked at my last post and I realized it was way back in March. That is a long time indeed. I would love to say that it was because I was gallavanting across the world in search of ancient treasures but in reality I’ve simply been adjusting to the new job (which is wonderful, by the by) and have been taking a slight (very slight) break from writing. Okay, that’s not entirely true. I’ve been writing reviews for Errol’s escape room blog and have also been helping him out writing our event that’s coming up! All of that is exciting! But I realized the other day that I’ve felt very little motivation to do much else in the last few months and I’ve actually been quite happy with that. But the other day…well, the other day I was watching Harry Potter again…okay, I was watching the Cinema Sins for Harry Potter. And I realized that there was something about it that had always bothered me as the series wore on. 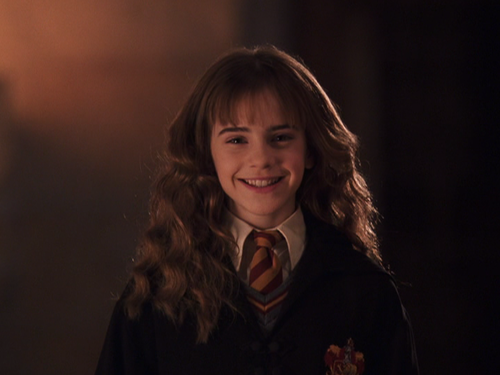 When I read the Harry Potter books, I much like many other girls immediately related to the know it all Hermione. It wasn’t just her intelligence or resourcefulness that attracted me to her though. It was her hair. Described as “bushy” in the first book, it’s brought up constantly through the series as one of her physically defining characteristics. From my recollection, she even gets teased about it on occasion. 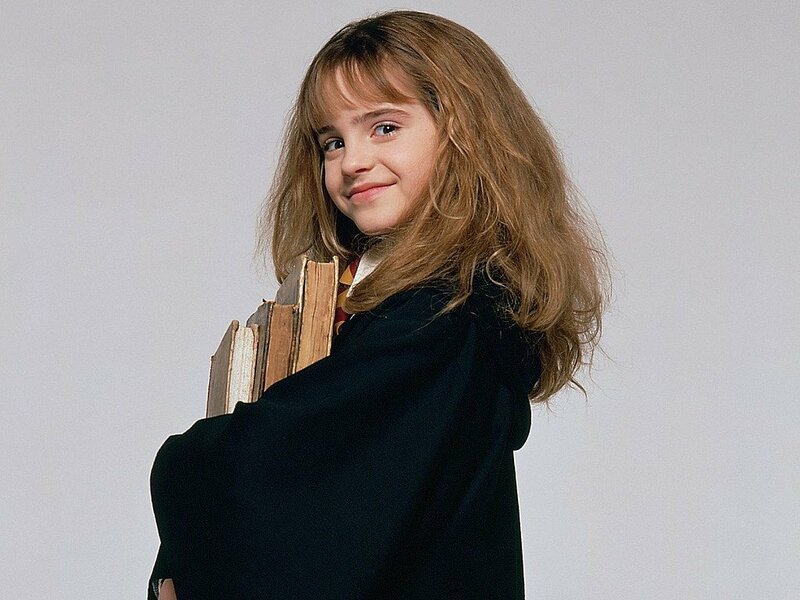 The thick mop of hair sticks with her throughout the books series. Oh sure, there are one or two instances in which she pulls an Eliza Doolittle and shocks the world with a sleek feminine style but after that it’s right back to her frizzy style. And as a fellow sufferer of The Frizz, I loved it. Here was a character I could relate to. Someone who spent most of her time with books. Someone who was made fun of for that obsession. And someone who had never really learned to maintain her hair not because she was self conscious or unfashionable but simply because she didn’t want to. 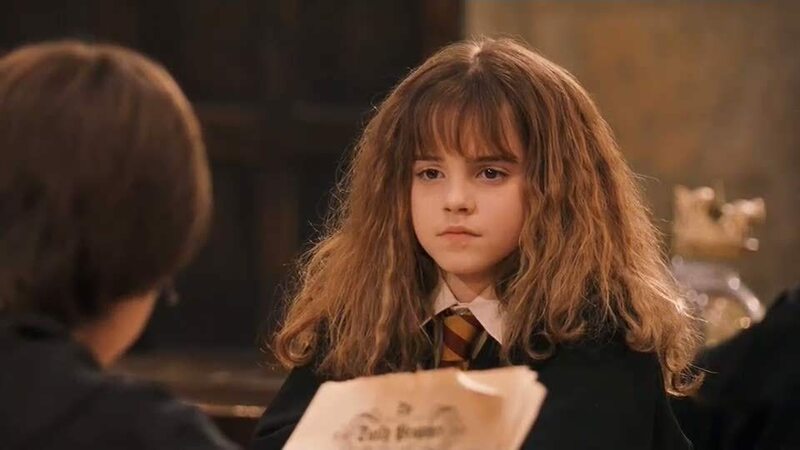 At the end of the day, the last thing on Hermione Granger’s mind was how to make her hair the prettiest it could be. It was not where her priorities lay. Like myself, she had never bothered to obsess over the finer points of fashion and style (not that there’s anything wrong with that, it’s just what women seem to be constantly judged on). And like myself, occasionally she might want to feel more pretty and put all of the effort needed into glamouring up for an evening only to realize that while it’s fun for a moment, putting that much time and effort into your looks is far too tedious. It made me feel better about my own frizztacular Muppet hair. It made me feel comforted that while I might not be all that stylish, I could still very much be confident in all of the other things I was. Keep in mind, this was me at 19 years old too, also known as the year that I learned I needed to stop caring. That hair represented so much for me. It made Hermione the character that much more impressive. Which is why it’s a shame the movies gradually abandoned that image. The first Harry Potter movie, much like the first season of Game of Thrones, followed the book to a T. And much like Game of Thrones, that came with some shortcomings. But the pitch perfect representation of Hermione was not one of them. LOOK AT ALL THE CRAZINESS! CAN’T YOU SEE IT?! To an attractive teen with prom hair. In the book the difference is supposed to be stark. Here it’s mostly…Ron didn’t realize his attractive female friend was attractive. Which works in some ways. In others, you wonder why no other guy asked her out. Well, I guess she was considered obnoxious. But still. Not a whole lot of contrast between the two. She must have kept that Time Turner for Order of the Phoenix, since she had not one hair out of place. And in the Half Blood Prince, she had to be appear more attractive so that Ron could finally fall in love with her. Because why would he otherwise? Amiright? Seriously were they dipped in molton gold?! 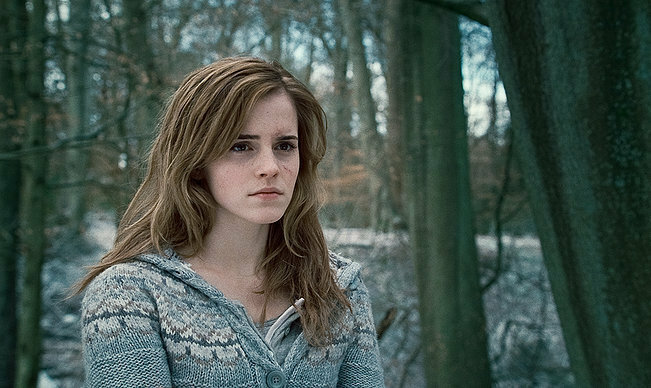 Only in the Deathly Hallows is she finally restored to her frizzy, bushy self thanks to being forced to flee into the wilderness for which there is no hair product, magic or otherwise. No time for hairbrushes! We have horcruxes to kill! But even then, the marketing department couldn’t quite let it go. 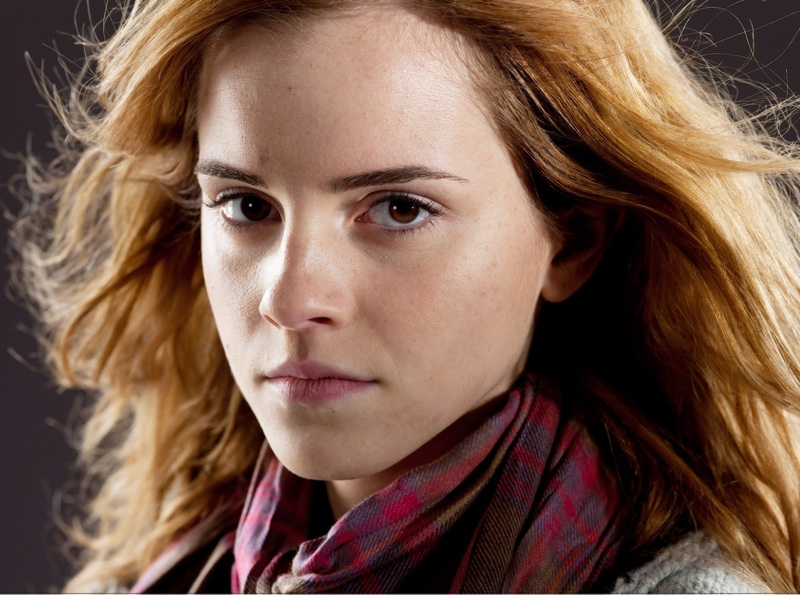 They had to make all publicity stills to take focus off Hermione’s battle hair. I am being a bit unfair. 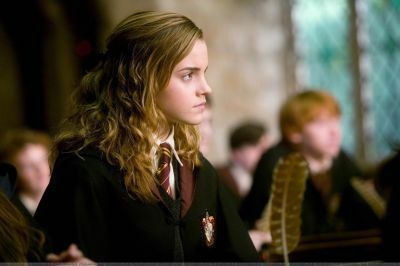 Hermione’s hair was never perfectly coiffed as Hollywood producers probably wanted it. 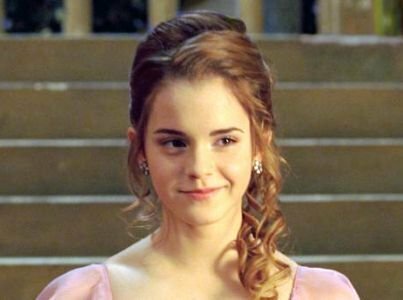 Emma Watson’s portrayl of Hermione was spot on and the actress deserves immense praise for being able to take on such a loved and respected character. But the perfectly tossled waves and curls makes me long for the Hermione of old, the one who would let the frizz fly around with no care what anyone else thought. The series was never perfect. The movie adaptations always left elements out that I missed such as most of the backstory in Prisoner of Azkaban. But the element I lamented the most was the disappearance of the Hermione Hair. Perhaps someday we will live in a world where a movie character’s hair will not need to be expertly styled to be worthy of screen time. Until that time though, I will have to rely on the Harry Potter books.